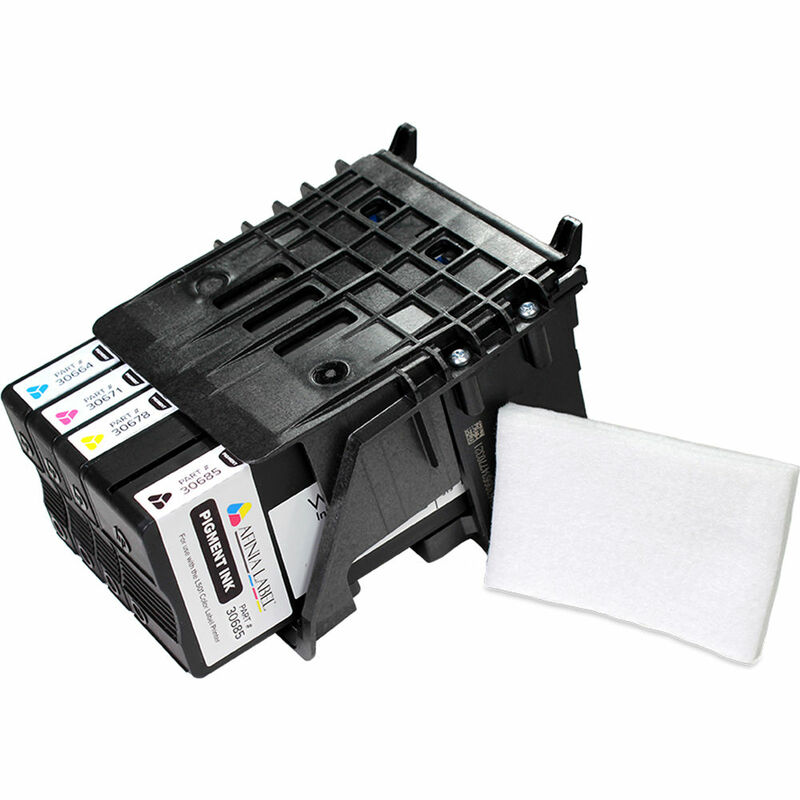 This L501 Printhead with Full Set of Pigment-Based Inks from Afinia is compatible with the L501 Color Label Printer. The printhead comes with 4 pigment-based inks: cyan, magenta, yellow, and black. These pigment-based inks offer exceptional water, abrasion, and UV resistance, making them ideal for packages requiring GHS compliance, as well as packages with high exposure to moisture. Box Dimensions (LxWxH) 11.9 x 8.2 x 4.4"